Take it slow, chillax, let the sun shine in and the disco and New Wave move your feet to the cool beach-beats. 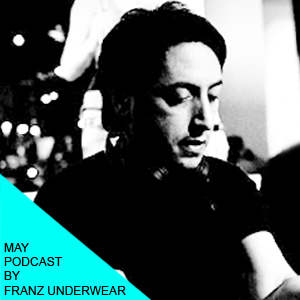 Summer-is-almost-here podcast by Franz Underwear (Slow Motion) for Your Mom’s and House/Disco event series Go Bang! promoted by himself and Local Suicide. In May, Slow Motion Records will release the second soundtrack series of Marco Spavent and a preview EP from Motorcycle Boy (fully release this summer). In June, the two first Italian Dance Wave Compilation EPs will be out, plus original release from Clap Rules, Francisco, Rodion and Fabrizio Mamarella. Franz Underwear is also part of the Magic Waves Festival at Griessmühle in Berlin from July 4th till 6th. Book Go Bang! parties worldwide HERE.